I get positive and negative reactions about my insight, knowledge and self education about abuse, abusers, toxic people etc. I’m used it now and I recognise most reactions are about people’s own needs and how they have to cope with their own lives. It’s rarely about me. I’m a childhood complex trauma survivor, who has been abused since birth. I am a text book case of the highly abused and neglected child, who went on to be abused in adulthood. There are many reasons for this, the main one being – being abused by toxic people is my normal and toxic people used this to their own sick advantage. I’m a textbook case of the scapegoat child who learned to placate other people’s needs, but still always knew their toxic behaviour was not okay. I just knew nothing else and believed I deserved nothing better. There was nothing malicious from within me – that encouraged this abuse. I was vulnerable, with no good support and I had been groomed since birth to tolerate abuse, to self blame, and tip toe on egg shells around highly manipulative, abusive character disturbed people. Seven years ago, I had a breakdown – due to my marriage to a narcissistic sociopath. The insidious manner in which that abuse was inflicted, was so slowly and so carefully done, I had no idea it was abuse. The emotional, psychological and sexual abuse was significant trauma. I was also abused by a church minister and church that I reached out to for support during this breakdown, which clearly did not help and worsened the pain. Due to this breakdown, all past trauma I had suppressed, came to the surface. That nearly killed me, it was so terribly painful. I then went through more torture of working out my husband had abused me, including sexual coercion. Throughout this process, I have learned a great deal of psychology about narcissists, sociopaths and psychopaths. I’ve learned a great deal about every type of abuse – emotional, psychological, verbal, sexual, physical, spiritual. I’ve read countless books, articles and blogs. I’ve learned there are no justifiable excuses for one single moment of the abuse I have endured. I’ve processed it all and that combined with my considerable life experience of abuse – is a profound amount of education, insight and knowledge. I recognise this fully now and I will not allow anyone to suggest I should not have my normal and needed emotions, opinions and insight. But, this has all hurt more than I could ever explain. I don’t have adequate words to express the pain and torture I have endured processing everything. But, it has taken considerable courage, strength and resilience. I’ve had amazing support from within the community I manage on social media. And for that – I will always be truly thankful. However, I’ve also encountered intolerance of my insight and negative responses to my opinions about abusers, including considerable online harassment, trolling and abuse. I’ve also encountered negative responses from those in my life, where I have been criticised, mocked and shamed for all the education I have given myself and my views about abuse. Yet, where would I be if I had not been so willing to learn and have so much resilience and resourcefulness to educate myself and combine that with my life experiences and insight capacity???? I would still be in my marriage, still be being abused every day, lied to, cheated on, blamed and shamed, being raped on a regular basis, and possibly in marriage guidance counselling – being blamed for part of my marriage issues. But, I’m not. Only MY education about abuse and abusers – led to me being able to discern narcissism, sociopathy, psychopathy, sexual coercion, – which is what led to me getting out of my marriage. Categories: abuse, Bravery, C-PTSD, Child abuse, complex post traumatic stress disorder, Complex PTSD, complex trauma, healing from abuse, intuition, Lilly Hope Lucario, Narcissistic abuse, Pain, post traumatic stress disorder, Psychological abuse, PTSD, resilience, sociopaths, Uncategorized, Wisdom | Permalink. 2017, will be an interesting year. It is certainly not going to start the way I assumed it would. But, that’s life – you cannot predict what will happen. You can only accept what comes and have the resilience to withstand it and make the best of it. I have made no secret of my faith issues. I am at a point, where I cannot think about it anymore, because it’s too painful. There is no resolving of the issues I feel. So, for now, I am avoiding thinking about it. My counselling, has ended in a sad way, but….. I am great believer in people revealing who they truly are, in time. And I don’t need counselling anymore. 2017, will be a year – where I learn how to become a professional photographer, get m book finished and published. That’s a lot for me, and will take me out of my current comfort zone. But, if there’s one thing I am – beyond any doubt – is a survivor. I am stronger now, than I have been over the last 5 years. My resilience levels are stronger. My boundaries are safer and my self esteem is higher, than ever before. Categories: complex post traumatic stress disorder, Complex PTSD, complex trauma, healing, healing from abuse, resilience, resiliency, Uncategorized | Permalink. I don’t buy into the average perception of what a hero looks like, based only on physical acts of bravery. The greatest heros in life, go unrecognised, unnoticed. Categories: abuse, Bravery, Child abuse, childhood sexual abuse, Church abuse, courage, Cult abuse, dysfunctional family abuse, Emotional abuse, Emotional courage, healing from abuse, Narcissistic abuse, Pain, Physical abuse, Psychological abuse, resilience, Sexual abuse, spiritual abuse, Uncategorized | Permalink. Complex trauma, which is ongoing severe abuse, within a captivity situation, is one of the biggest life stressors, anyone can endure. Yet, society demands that abuse and child abuse survivors, just ‘get over it’ and deem them to be weak, if they are not being ‘strong warrior survivors’. And throw out shaming statements like ‘don’t be a victim’. 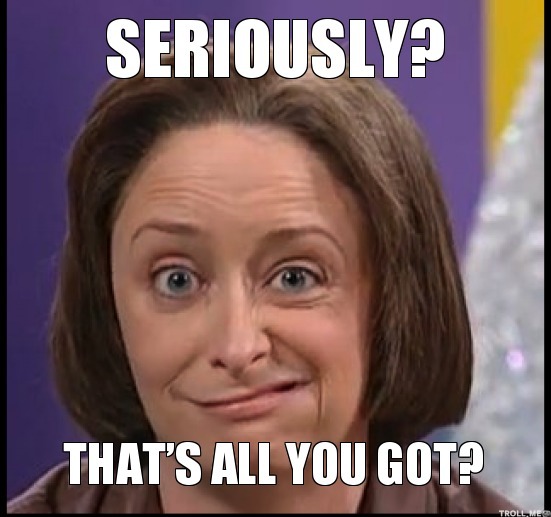 All shaming attitudes. It has never made sense to me, that anyone who has endured some of the worst life experiences, are supposed to be ‘stronger’ than people who have not endured such impacting suffering. It’s just another way to shame abuse survivors. And that is really wrong. I am glad to see research that shows that natural resilience to major trauma, is not common. It takes pressure off survivors of severe abuse and complex trauma, to live up to society’s inappropriate demands. Compassion and empathy, are vital when considering how complex trauma survivors are coping. Please don’t shame survivors, who are not coping in a way deemed to be ‘strong’. It is cruel, harmful and can lead to suicide. And if you are someone, who feels they are not coping well……… please know I will not shame you for this. I know you have already endured so much and how you are managing, is okay by me. Categories: C-PTSD, Compassion, complex post traumatic stress disorder, Complex PTSD, complex trauma, Empathy, post traumatic stress disorder, PTSD, resilience, resiliency, Uncategorized | Permalink. Discussed more processing positive labels & compliments. In counselling today, we discussed this issue I have had, of positively labelling myself courageous, brave. I feel that I have the capacity and have demonstrated enough courage and bravery, to see why people label me as such…. but struggle with these labels. The result of this discussion…….I have demonstrated these over decades of time. To survive all I have, and take care of myself for as long as I did, is ‘enough’ to earn me these labels. We also discussed the term ‘warrior’ and I see that can shame people and why. I do have considerable insight and reflection capacity, to see this is a label, that people can give themselves to cope. They need it as an identity. But, it also shames others, who are not seen as being ‘warriors’. Which is not okay. I don’t want to shame anyone. I don’t need that label. I am human, I struggle at times. I don’t want the burden of trying to live up to the ‘warrior’ image. I don’t need that label as my armour – to help define my self image/identity. This was confirmed as healthy. But, the outcome of discussing all this, is I have demonstrated enough bravery, courage, inner strength, resilience, insight, honesty, empathy…. to indeed call myself those descriptions. Without any clarification needed. My counsellor does feel my ‘not good enough’ issues due to all the childhood abuse, have played into my issues with not accepting these labels/descriptions, in full. So, it is good I worked that out too. The ‘not good enough’ is something many narcissistic parent survivors, deal with. I see how mine, have affected me. I don’t have to have 100% perfection – every single day – in courage and bravery etc…. to be ‘good enough’ to call myself these. No-one has perfection in these. What I have already demonstrated and continue to demonstrate over decades, ‘is enough’ to earn these descriptions. We also discussed my recent thoughts about accepting complements, why I have struggled with them and how I am now dealing with them. Which was described as more self reflection, more insight. And definitely a healthy way to view compliments now. For example, someone calling me very beautiful. I can accept graciously, that is someone’s opinion. And that is okay. It is also okay if people don’t think I’m beautiful. I’m totally okay either way, and don’t ‘need’ people to think I’m beautiful. Categories: C-PTSD, complex post traumatic stress disorder, Complex PTSD, complex trauma, compliments, Empathy, inner strength, Insight, mental health, post traumatic stress disorder, PTSD, resilience, Self insight, Uncategorized | Permalink. Always a moth to the flame……..but not anymore. I was not looking forward to counselling today, I assumed (wrongly…again) we may ‘have’ to discuss ‘that stuff’ I am currently avoiding. I was relieved to know we weren’t, and that it is okay to avoid some stuff, and build up strength and resilience and deal with that later. Phew! I did manage to verbalise how I realise, for various trauma-induced psychological reasons, I have spent my life being a ‘moth to a flame’. The ‘flame’ being abusive people, often of the narc/sociopath/psychopath variety. All due to my childhood. Getting burned over and over and over, and not being able to stop this and protect myself. 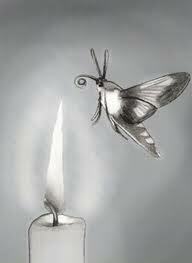 In fact, it would be more appropriate, to say I have been a moth, to many flames and I see that fully. Now. And when I ‘know’ something, I don’t shy away from it, or ‘rationalise’ it, or minimize it, or pretend it doesn’t exist. I’m too real and honest and have too much integrity to honesty, for that. But, I do fully recognise, that I am only able to see, understand, accept and deal with things, when I ‘know’ them. And this awareness often comes in those big overwhelming realisations, that leave me shocked, speechless, scared, fearful. Followed by varying levels of emotions and potential numbing, or panicking, mood lowering and little capacity to cope…which can lead to suicidal thoughts. Categories: complex post traumatic stress disorder, Complex PTSD, mental health, post traumatic stress disorder, resilience, self care | Tags: complex post traumatic stress disorder, Complex PTSD, mental health | Permalink. That I am now able to deal with it, in a pretty calm manner now. And just see their issues and not react. I know it’s about them, not me. Except I don’t, because that just encourages their darkness. I don’t have to tolerate their issues, and I decide what kind of response is required, if any. But, I definitely see their issues, as I can pick up on them so easily. I am definitely toughening up. I said in counselling I needed to toughen up, be more resilient to harmful people, but in the right way, and I am. Categories: abuse, Bullying, C-PTSD, complex post traumatic stress disorder, Complex PTSD, courage, cyber abuse, cyber bullying, cyber stalking, Discernment, Emotional Intelligence, Emotional wisdom, healing from abuse, Lies, mental health, Personal growth, post traumatic stress disorder, PTSD, resilience, self care, social media, Society, trolls, Uncategorized | Permalink.